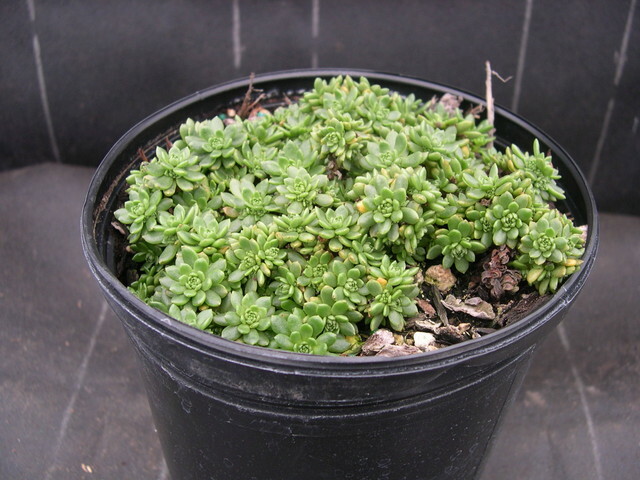 This is a rather deminutive form of Sedum with green foliage that forms rosettes at the tips of short stems. Old dead leaves cling to older stems. Large star-shaped white flowers appear in October-November. This plant spreads by rhizomes that send up new shoots away from the original plant. Native of Kashmir will tolerate cold and wet situations.